One of the best things about being a writer is that your books and stories can travel much farther than yourself and reach many more people. 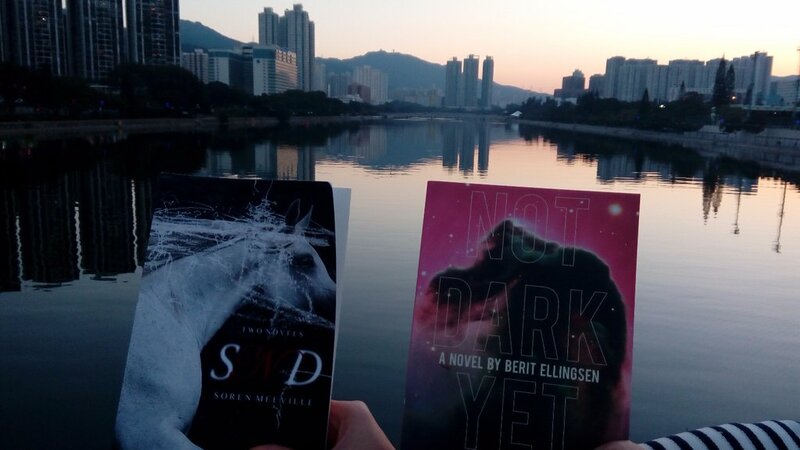 Oli, writer, and editor of Psycho Holosuite and Zizek Press, took these photos of Not Dark Yet at the Shing Mun River in Hong Kong. The high-rises in the background are part of Sha Tin City One. 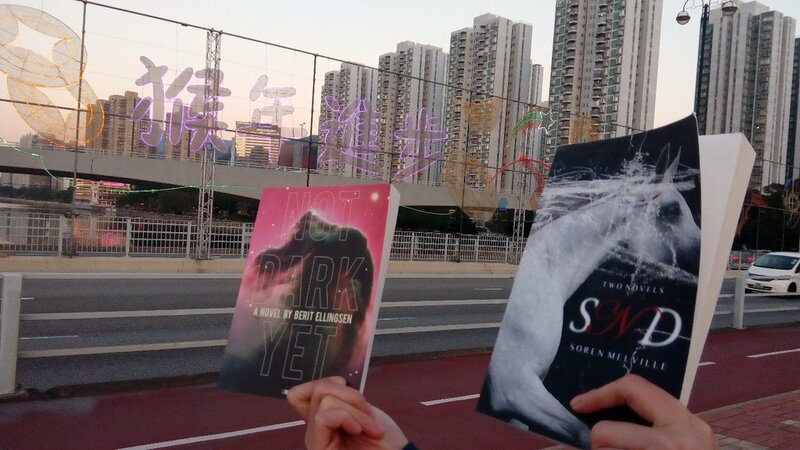 They could have been taken from Not Dark Yet. The other book in the photos is SnD by Soren Melville, published by Civil Coping Mechanism. Thank you so much, Oli, for taking these wonderful pictures! Great to see a little bit of Hong Kong from a local.